The stories in this year's selection are sometimes grim, sometimes cheerful, sometimes quirky--but always full of emotion. 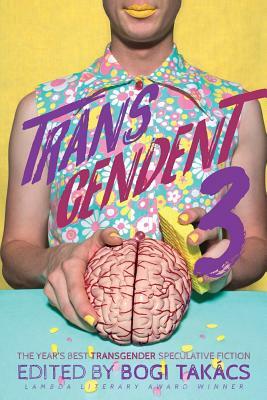 Editor Tak cs has assembled a wide range of non-cis experiences: from an intergalactic art heist to the everyday life of a trans woman through the lens of horror movies; non-binary parenting in the far future, to a unique method of traveling back to the past. Steampunk, ghosts, even deities, all can be found in these stories that show how transness can relate to and subvert so many themes at the heart of speculative fiction. The introduction also includes a section on year-to-year changes in transgender SFF, and assembled longer-form trans highlights.